> Movie Posters>Film Posters>Belgian Posters>BILLION DOLLAR BRAIN Belgian '67 Michael Caine, Karl Malden, Ken Russell, Caine vs. Brain! 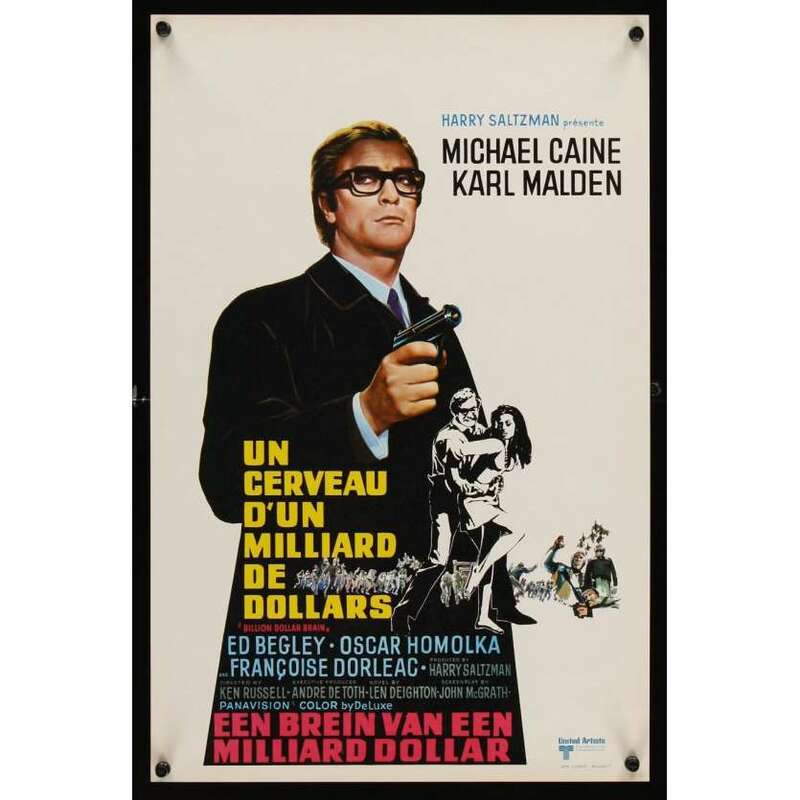 BILLION DOLLAR BRAIN Belgian '67 Michael Caine, Karl Malden, Ken Russell, Caine vs. Brain! An Original Vintage Theater-Used Unfolded Belgian Movie Poster (measures 13 3/4" x 21" [35 x 53 cm]) Condition: Very Good to Excellent (C7) See our 10 GRADE SYSTEM Page for more information.